In other terms, a keyword is equally important to a topic just as the topic itself. Thus it is good that you concentrate on the important topics in your particular niche. Ensure that you research to establish those bites of information that your audience painlessly type on their search boxes. Farther to this, location is another important aspect of customized blogging. So if you particularly live in Kenya, check on what your audience wants to hear about and give them quality information. How can you know the most relevant keywords? This is simple, use the media. Twitter is one great tool that can help you achieve this; this is because twitter followers tend to be more focused on what they want to follow. It your passion is to blog about weigh loss in Kenya. What you need to do is be a follower of slim-possible twitter’s account and see what enthralls the audience. You will also get to know the issues that people want addressed and you can start a blog based on those issues. Okay you have found a keyword or phrase that suit your needs but that is not over yet. You need to take another initiative to establish the efforts required to survive in that niche. What you don’t want is to compete against large business websites that employ hundreds of SEO engineers. Just imagine wedging war against a website like Amazon, or olx? Off-cause that will cost you much than you can deliver. Also, avoid using words and phrases used by old and pioneering websites. What are some of the words with stiff competition in Kenya? Use Google analytics to depict the relevancy of your preferred keywords by getting the number of times they are being sought for on search engines. For instance, a phrase like “jobs in Kenya” has very many searches but in regard to the above point, “competition” it might be quite challenging for you beat the competition. Some webmaster tools like analytics are able to clearly show you the number of times a word or phrase is used and also the competition you can expect from it. These factors are very necessary and they can help your blog to grow first especially in terms of traffic. 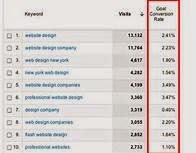 Finally, consider the money value on your keywords in relation to the market products. This is not among the prime facts to consider while choosing a keyword to blog with, in the Kenyan market but it can boost your online earnings. be able to find the cause, and put it right. The oils strengthen the hair follicles and regenerate the hair growth. effective in female and so it should not be hair loss treatment organic used by females. Whether it is female pattern baldness or female pattern baldness and alopecia areata.